22 Jump Street stars Channing Tatum and Ice Cube aren't done with each other yet this year. The two co-stars lend their voices to the fantasy adventure The Book of Life, in theaters this October. Executive produced by fanboy favorite filmmaker Guillermo del Toro, this vibrantly animated quest follows the legend of Manolo, as he sets off to rescue his one true love. 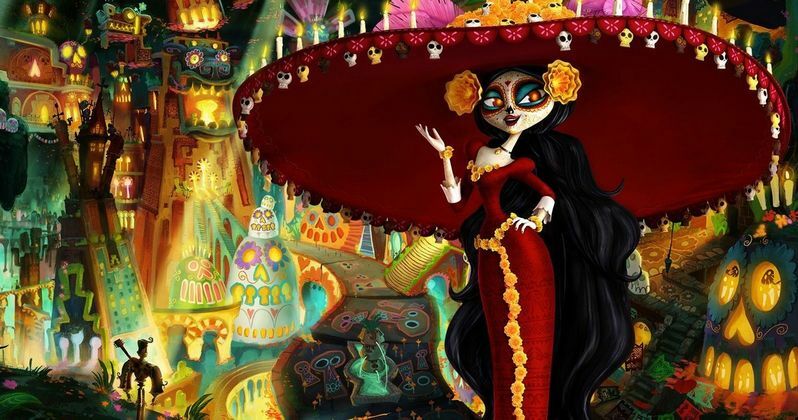 Also featuring the voices of Zoe Saldana, Ron Perlman, Christina Applegate, Danny Trejo, Gabriel Iglesias and Diego Luna, The Book of Life was directed by Jorge R. Gutierrez, who makes his directorial debut.